The metal men of Megadeth are making progress on their upcoming album, and frontman Dave Mustaine offered up a new update on how far along the band is on the new tunes. In a new Kerrang! interview, Mustaine drops the news that he has written eight songs for the record. “Of this eight, probably three are completely done musically, to the point where I would record them tomorrow,” Mustaine said. “I want to get in the studio and start woodshedding until I have the material we need or until (the other band members) come and start contributing — because I welcome their songwriting. It’s just getting us all in the same room and waiting for the inspiration,” he added. 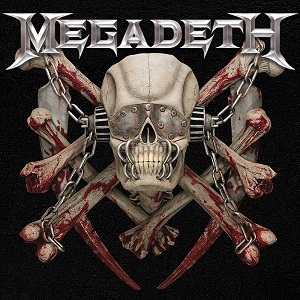 “Dystopia” was a major release for Megadeth, as it scored the band their first Grammy Award for Best Metal Album. While fans wait for the new tunes, Megadeth is also gearing up to release a new greatest hits set called “Warheads on Foreheads” on March 22. The band is also scheduled to open for Ozzy Osbourne on the metal icon’s farewell tour kicking off in May. Aside from Megadeth, Mustaine has kept busy performing on the Experience Hendrix tour.